This entry was posted in Caribbean, Travel, Travel Photos and tagged Caribbean, Dominican Republic, Nature, Photography, Photos, Travel, Travel Blog, Travel Journal, Travel Photo, Travel Photos, Vacation, Vacations. Bookmark the permalink. I want to walk down that path…right now. Me too Luke! I wish you safe travels on your upcoming trip to Afghanistan. I needed this picture on a rainy/snowy day. Lovely palms and sunshine. Glad I could help…and I wish you sunshine and warmth soon! Oh what I would give to be there right now. It was snowing here this morning. It didn’t stay on the ground, but it’s really cold!! Brrrrrrr. Lovely photo! That is terrible news…think warm! Beautiful. I love palm trees and sunlight!!! It makes me smile. 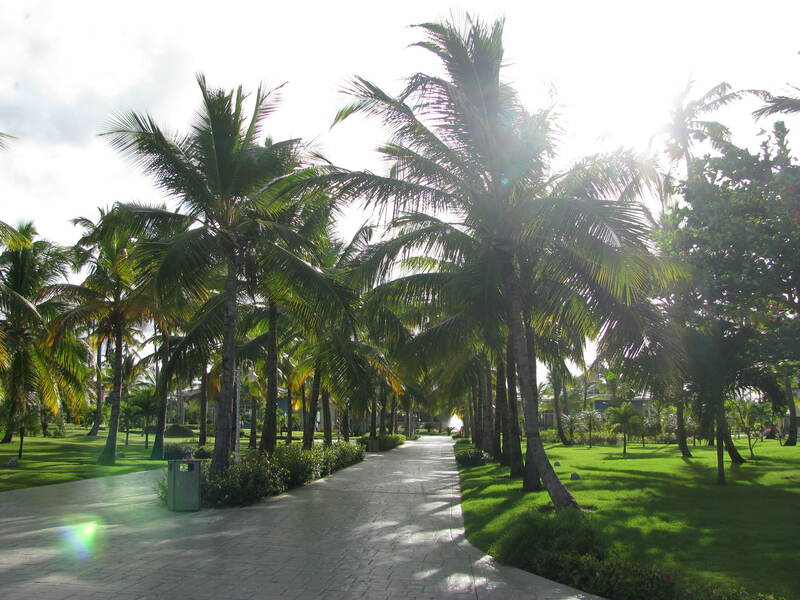 Thanks…I loved walking down that path early in the morning to get breakfast before hitting the beach for the day. I wish I was there now! I could really enjoy a peaceful morning walk through those trees. Lovely! It was such a lovely stroll. I miss it. Such beautiful colours. The light in some places is amazing – I love the South of France for that reason. Not that I really needed a reason to visit the South of France, but you convinced me! I wish this was my view this morning! !